In an open refrigeration system, the air is directly passed over the space is to be cooled, and allowed to circulate through the cooler. The pressure of open refrigeration cycle is limited to the atmospheric pressure. A simple diagram of the open-air Refrigeration system is given below. It eliminates the need of a heat exchanger. One of the disadvantages of this system is that its large size. The air supplied to the refrigeration system is at atmospheric pressure, so the volume of air handled by the system is large. Thus the size of compressor and expander also should be large. 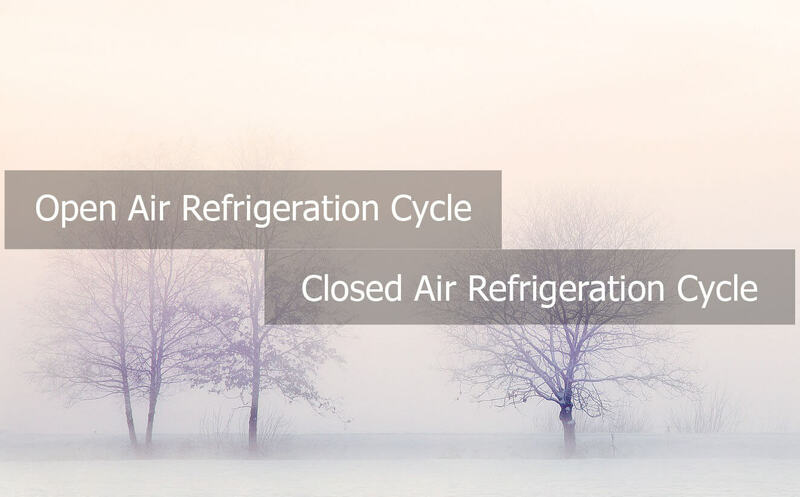 Another disadvantage of the open cycle system is that the moisture is regularly carried away by the circulating air, this leads to the formation of frost at the end of the expansion process and clogs the line, and hence a use of dryer is preferable to the open air refrigeration system. The suction to the compressor may be at high pressure, therefore the volume of air handled by the compressor and expander is low when compared to an open system. Hence the size of compressor and expander is small compared to the open air system. The chance of freezing of moister and choke the valve is eliminated. In this system, higher coefficient of performance can be achieved by reducing operating pressure ratio.